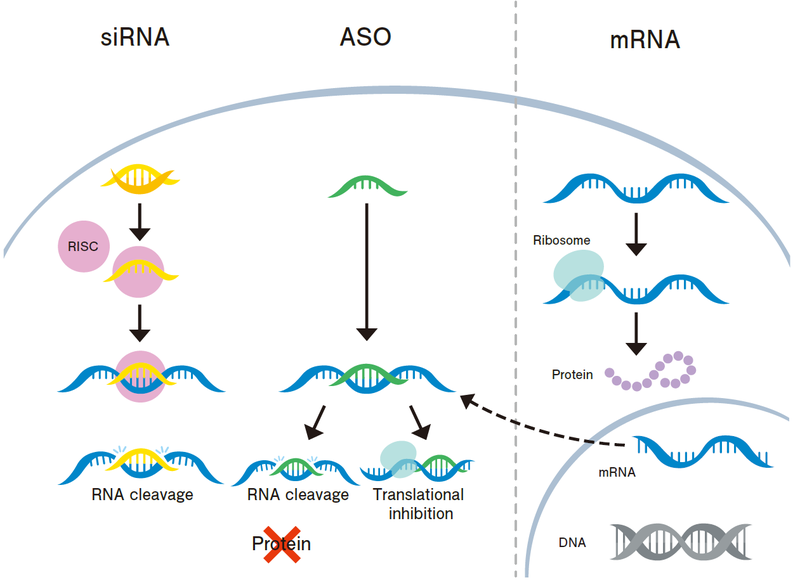 Nucleic acid therapeutics such as siRNA, miRNA and mRNA are based on nucleic acids or closely related chemical compounds. Nucleic acid therapeutics are attracting attention as next generation pharmaceuticals following antibody drugs. Nucleic acid, such as RNA, has a mechanism for suppression/activation of protein expression. Leveraging this mechanism, nucleic acid is applicable to therapeutics enabling molecule targeting which have not been realized by conventional medicines with no genome damage. This nucleic acid-based therapeutics, however, has technical challenges in the effectiveness at delivery to the target and stability in human body. AccuRna DDS provides simple but robust solution to those technical challenges for effective treatment of refractory diseases.